are reserved by the author, Robert L. Baber. This book was published by John Wiley & Sons, Inc., September 2011. 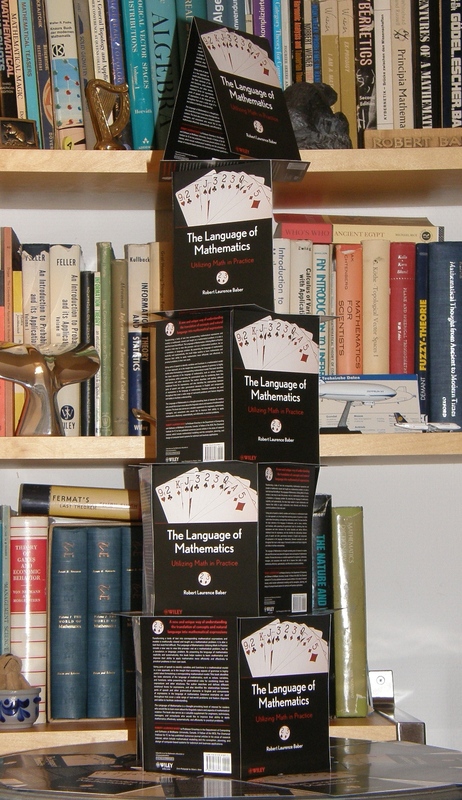 You can order The Language of Mathematics: Utilizing Math in Practice from any bookseller. The first step in solving mathematically a problem stated in English is to reformulate the English text into a mathematical model. The second step is solving the mathematical model. The first step is usually presumed to be part of the mathematical problem, but actually, it is a translation problem – a language problem. This first step requires fluency in both English and the Language of Mathematics and the ability to translate between the two. This book will help the reader to acquire the necessary knowledge and skills. My experience learning, using and teaching others mathematics and how to use it in practice has convinced me that looking at mathematics as a language can facilitate the learning process, understanding and the ability to apply mathematics in practice. I believe that it can even enable some people to learn how to use mathematics effectively who would otherwise be completely turned off mathematics by their early exposure to it – and there are many such people in today's world. In order to reason logically about things, mathematicians have developed a particular language with particular characteristics. 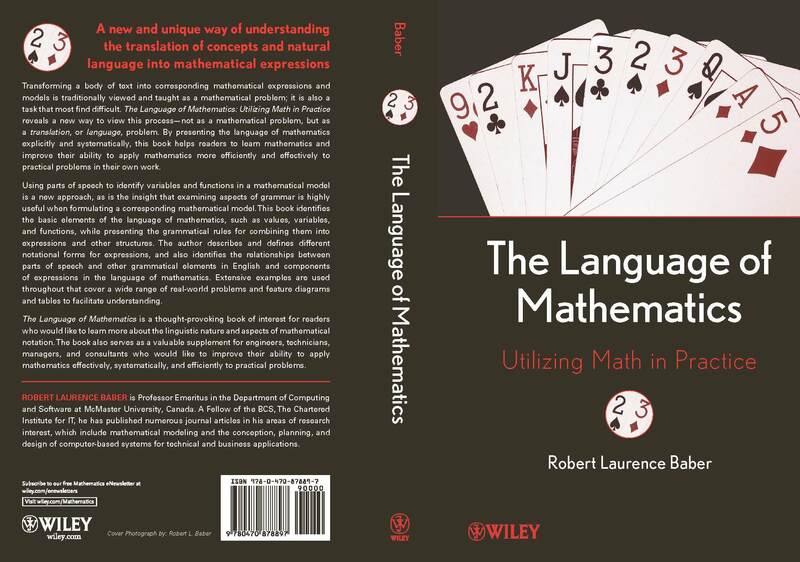 That language – the Language of Mathematics – and other languages developed by human societies are similar in some respects and different in some ways. What is mathematics? Someone once answered that question with "What mathematicians do". That, of course, begs the question, "What do mathematicians do?" They reason logically about things – artificial, abstract things. structures of buildings, dams, bridges, roads, etc. Such models enable us to understand, describe and predict things in the real world better, to our considerable benefit.